Steve Fox AST | A collection of exciting things to help your teaching! 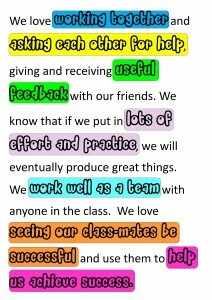 I have made a little poster with the intention of improving the quality of peer-to-peer feedback in my classroom. The systems of supporting each other rather than sitting with their hand in the air are now in place and working 90% of the time, but I still feel the quality of dialogue can be improved. Some of the less confident children (both in attainment and personality), just take their partner’s word for it and change their ideas without asking any questions! I created this poster and hope to get the children using these as discussion prompts when they decide they need to chat about their learning. Let me know what you think, either via a comment on here on on Twitter (@stevefoxast). Here is the PDF file (A3). 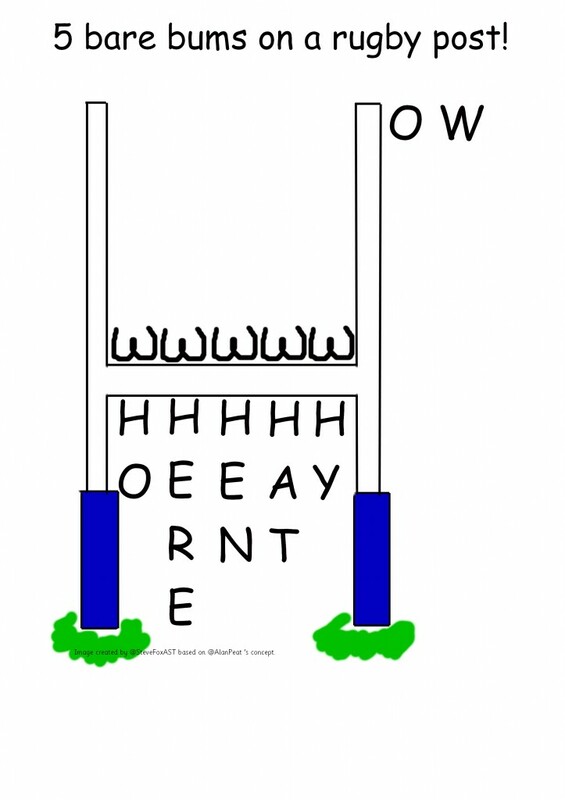 I have created a poster to illustrate @alanpeat ‘s idea of 5 bare bums on a rugby post to remind children about the 5 w’s. Feel free to use and distribute the poster I have made. I have been on the lookout for inspiration on Christmas literacy activity. Having looked at www.theliteracyshed.com, I decided to do something with their idea on using the current Cadbury advert (here is the link). They will then use the planning document (provided in link) to map out ideas and words before writing their own version on special ‘chocolately’ paper! During the process, peer feedback and assessment of their writing should happen throughout. If this isn’t happening, I will stop them and nudge them in the right direction. I also hope to level this writing to aid in my assessment for autumn 2. 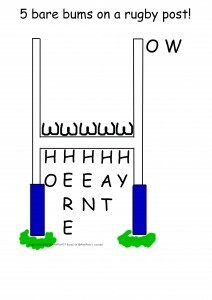 I would love to see children’s writing, if you decide to do this in your class. If it can be put on a blog, my children will look and comment. Using Google Docs for drafting writing. In literacy we have been writing warning stories, using a template (The Canal by Pie Corbett) changed to include Alan Peat’s sentence types. This has been a little bit arduous as we ended up ‘boxing up’ the story a paragraph at a time before writing that paragraph. They found it quite hard at first to ‘modify’ the example to fit the new storyline. As part of the writing process I have been trying to develop effective peer to peer feedback, giving them specific things to look for and comment on. 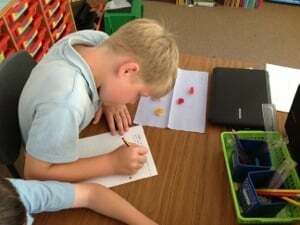 Although the feedback is improving, the children are still not critical enough in their reading of each other’s writing. They still miss basic punctuation and grammatical errors which they spot easily when doing the same task in a whole class situation. I aim to carry on working on this, training them to look for, and feed back, on specific things. I also wanted to level this writing to give me information for my Autumn 2 O-track levels. Therefore, I wanted the children to work on their own, and each others, writing without very much imput/feedback from myself at this stage. Now they have finished their drafts, I have marked their work using our marking policy. 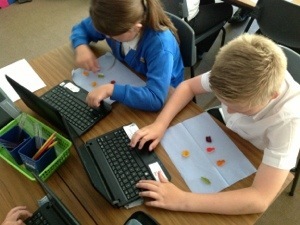 There job now is to re-draft their work, this time using the Chromebooks and Google Docs. This is the first time I have done this and so far, very impressed by it. 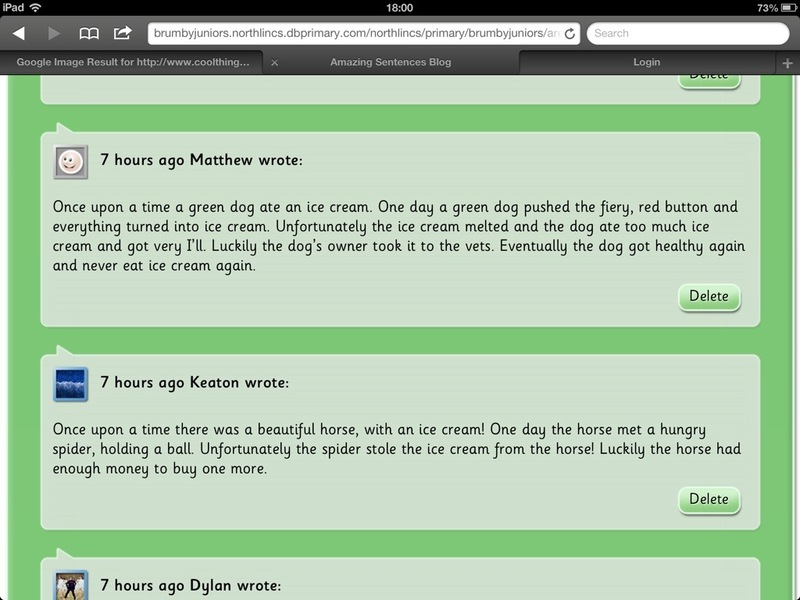 Being able to add comments onto their writing in real time is fantastic. As they address the things I say, we can tick the ‘resolved’ box by the comment! See the picture below for a screen shot. I will update you, with some finished examples, when the project is complete. 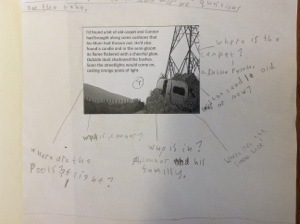 In literacy we have been using active reading techniques to generate questions and ideas about extracts from a text. Children were given two random paragraphs from a warning story, they then stuck these to a sheet of A3 paper and wrote questions around it about the text. We fed back to the class about our own paragraphs, stating what we found out, e.g. It was a stormy day, mum was a worrier. As a class, we tried to piece together the text orally before writing a 5-sentence story about it, using evidence found. Our next challenge is to write our own version of the text, paragraph by paragraph. All of this before we have even read the text fully, as a whole story! Last week I was excited to receive our order of ‘Littlebits’, 15x starter kits. It is basically an electronics set which snaps together via magnets to create circuits. The first session comprised of letting the children ‘play’ with the components and figure out what they did (Outcome: I have identified what each component does in the circuit). Littlebits Intro from S Fox on Vimeo. During the next session, they planned how they could use the circuits, along with art/craft material to produce some kind of product. This could be a toy or something to perform a job. 5-sentence stories with a sweet twist! In literacy we have been writing 5 sentence stories using given openers. 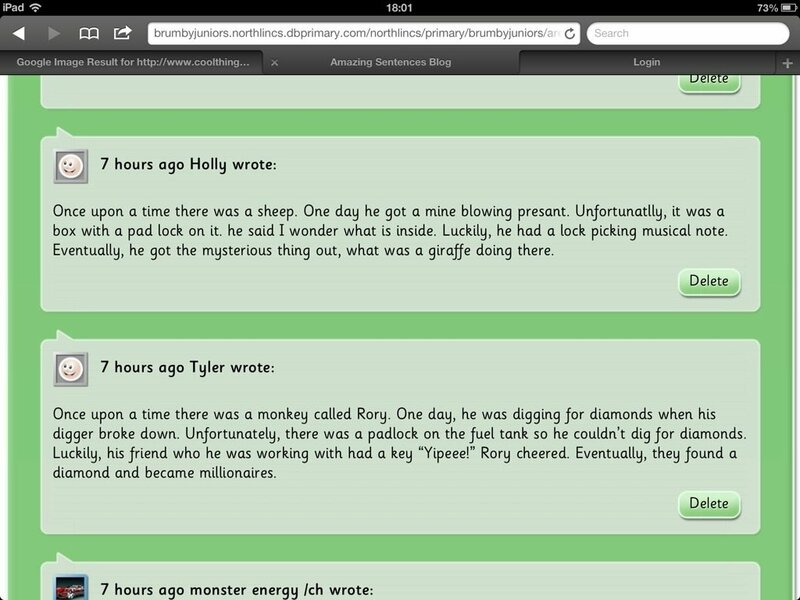 We have used ‘Rory’s Story Cubes’ app to generate ideas for our stories from the pictures rolled. 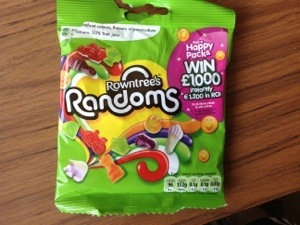 As an end of term treat, the children were given 5 Rowntree’s Randoms sweets to do the same task. They had a level 4 features checklist to adhere to. 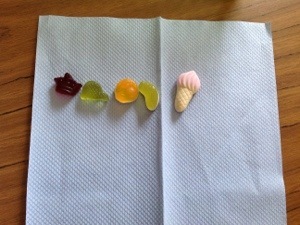 If they were successful, they could eat the sweets! Some great short stories were created which could easily be extended into longer writing, had we had more time. They posted their stories on The learning platform as a blog reply. Here are some examples of the stories written and some pictures.